Our trained and experienced technicians are here to solve all your brake repair needs.The professional team of Triple R Mufflers offer services in supplying and fitting brake pads as well as servicing the brake master cylinders. 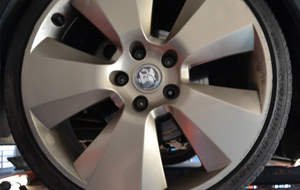 Your brake system is very important, hence, it is recommended to only trust the experts! Our quality services at competitive rates have made us the first choice as a brake repair specialist in Melbourne. So, for our professional and personalized service as soon as you feel there is a problem or a fault with your brakes, book an appointment with our brake repair professionals and we will be there to assist you. We are based in Fawkner and now a second outlet in Airport West. For further information, call us at (03) 9357 2925 or click here to go to our contact page.